Last season the Michigan defense was a force. This season, the Wolverines return basically their entire defensive line, and defensive backs. What they lack, are linebackers with prominent experience. 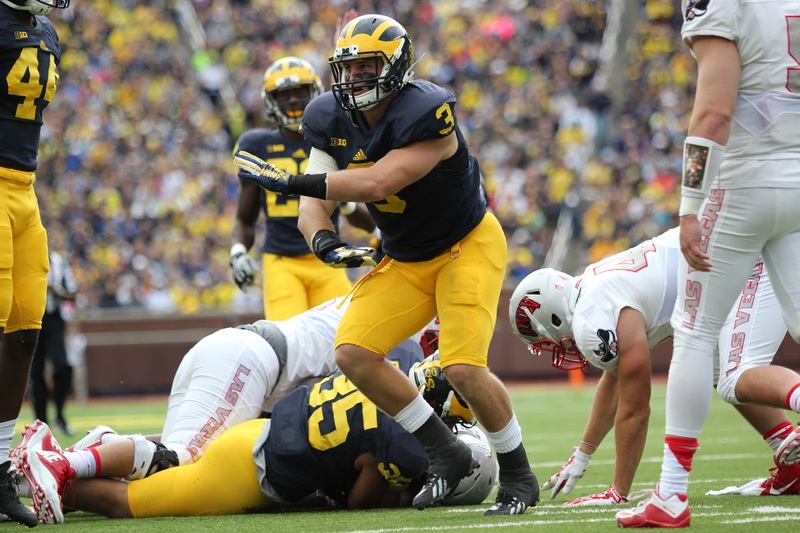 Ben Gedeon is the only linebacker on the roster for the Wolverines with any experience whatsoever. The senior has played in 37 games for the Wolverines, mostly as a reserve linebacker. Jared Wangler is one of the other linebackers on the roster who has been around, but not seen any playing time. Freshman Carlo Kemp and Devin Bush are both vying to get regular playing time and the Spring Game could be a huge indicator on whether or not they do. Kemp is a 6-3, 250 pound linebacker who could play the strong side, and Bush is a smaller linebacker at 6-0 foot, 220 pounds. Bush could be more of an edge rushing linebacker. It will be interesting to see what the Wolverines do on defense at the linebacker position. The key thing to watch in the Spring Game is how Kemp and Bush look. Watch where they play, how they react to plays, tackling technique, and slipping blocks. Another key is the defensive formations in general. The Wolverines could switch up formations in certain game situations. Passing plays could see three linebackers, but opt for smaller, quicker backers rather than ones who can pop a running back at the line. They could also choose to go with four down lineman, two linebackers, and bring a safety in closer to the tackling box. Run plays could see two linebackers as well, with another excellent tackling safety in the box, or five defensive lineman. A major factor in all of this could certainly be where exactly Jabrill Peppers plays. Talks have been that Peppers will be playing linebacker, while he still remains as a cornerback/safety on the official spring roster. Peppers could very easily be the solid tackler that plays a hybrid safety and linebacker, and he could be the difference in keeping the Michigan linebackers a steady force to allow the defense to continue its dominance.